Where Is WellBeing, Peace, Joy, Freedom And Love? Where can you find wellbeing, peace, joy, freedom and love? You might be surprised to discover that wellbeing is in the place you least expected to find it, in the last place we look for it. Wellbeing, love, peace, freedom and joy are actually what you ARE. All it takes is a shift in the direction of your attention to love yourself, KNOW yourself as love and align with it. If you’ve found your way here, you are somewhere on the spectrum from less than satisfied with your life, to hurting and miserable. I'm really glad you're here because I know you'll be helped now. I have gradually shifted from a life of extreme depression, panic attacks, suicidal tendencies, intense self-judgment, eating disorders (bulimia and anorexia), as well as other addictions (recreational drugs, alcohol, relationships and pretty much anything that I hoped might ease the pain) to peace, strength, joy, and an ever-increasing surrender to the alert, alive Presence I have discovered that all of us actually ARE. In the process of my own healing, I discovered that what I thought were my greatest weaknesses – being empathic and highly sensitive (physically, emotionally and energetically) – are actually strengths and vehicles for helping others, much to my delight. This is true for all of us. Within your greatest challenges you'll discover a golden strength. I've had a lot of inner and outer guidance along the way, hearts that reached to me with love, whether in the form of a book, a teacher, or a teaching. Each was a step along the way in awakening to the truth of what I am, what WE are. Each step led to the next, and the next. Over the last several years, each time I've encountered a tool or a realization that was a catalyst for my own breakthrough from distress, I've written about it on this site. I only share here what I've personally used and what has dramatically helped in awakening from suffering. I know what it is like to suffer alone. I did that for years. And I know how much it means to find something that is a catalyst for opening to the next step toward freedom, self love, and connection with ALL love. That is why I continue writing on this site and sharing with you the breakthrough methods I've discovered. My life, heart, mind, body and entire being are now in service to the awakening from suffering, true freedom and peace for every living being. That is the purpose of this life – to free ourselves from the beliefs and identifications that seemed to imprison us. To directly experience the shining peace that we already ARE but have simply overlooked. As WE, the ONE BEING we truly are, awaken to the Truth of what we are – Pure Awareness – it makes it easier for ALL of us to awaken. We are all on this journey together. You don't have to suffer alone. WellBeing Alignment is a powerful method for spiritual, emotional, mental, and physical healing. It works from two different directions – inside out and outside in. Both are necessary. Unless both are addressed, suffering recreates itself. In truth there is no "inside" and there is no "outside." There is just one unlimited energy field that is Us. However, from the perspective of the body / mind, it appears we have an inside and an outside. The pages on this site include information and exercises for both directions. Some are focused primarily on the first, some on the second, and some include both. All suffering comes from the belief that we are a separate body / mind. In our world culture this is how we are conditioned to perceive ourselves and each other. This conditioning is so pervasive that we don't even question it until we begin to awaken from the dream of suffering. This is analogous to a wave, which is made of water, arising in an ocean of water. If the wave believes it is ONLY a wave, it will suffer. Even though it may still be able to conduct its life as a wave, there will always be a sense of separate alone-ness and inadequacy percolating below the surface. Believing it is only a part, it will always be looking to complete itself with more waves – something or someone it perceives as being outside itself that can complete it in order to end it's suffering. However, it is only the BELIEF that it is separate that creates the suffering. This wave, not realizing it is made OF water, will continually search FOR water. However, by shifting its attention to the water that it already is, the wave would discover it is the entire ocean of water. It would then know itself as all the same attributes of the ocean – connection, completeness, wellbeing, peace, joy, love, unity and power. Likewise, we are Pure Consciousness, Spirit, Awareness, One with our Creator and all life. We ARE the totality of All That Is. As we rest in the truth of what we are, suffering gradually falls away by itself. The first step in releasing distress is to fully accept and embrace it. It's actually the only step required! Acceptance. Sounds pretty simple doesn't it. And it IS simple. And very powerful. However, it isn't always easy. Because of our conditioning. Besides being trained to believe we are a separate part instead of the Whole, we are also taught to NOT accept discomfort. Essentially, we are primed to believe that discomfort is bad and we must find a way to make it go away. Our conditioning tells us to distract from it, medicate it, change it, release it, or heal it. The underlying premise of all that is to make it go away. That's how you ended up here at this site, right? You are experiencing the lack of something you want (peace, wellbeing, joy, love), and too much of something you don't want (fear, sadness, anger, lack, guilt). And you probably want the fear, sadness, anger, lack and guilt to go away. Even when we turn toward more "enlightened" forms of healing such as meditation or energy healing, our intention is still to make something go away, so that we can claim what we DO want instead. Wanting something arising within us to go away is what created our suffering in the first place. Wanting something within your experience to go away keeps you attempting to resist and divide from yourself. We are one unity of energy. Believing that we're not and actively wanting part of ourself to go away creates suffering. Whatever arises within us is made up out OF us, like the analogy of a wave arising in an unlimited, boundary-less ocean is made up out OF the same water as the ocean. There is nowhere to "release" the wave TO, because there is no outside. There is only ocean (water). Likewise, all is energy. One unlimited, boundary-less field of it. There is no place outside of energy to push an undesired energy off to. So, by accepting and embracing whatever is arising, removing labels of "good" or "bad," we can begin to experience ourselves in an entirely different way. Instead of identifying with mental polarities, resistance to ourselves and internal wars, we can begin to know ourselves as an integrated Whole, in unity and oneness with all life. We can let all our beliefs, thoughts, perceptions, emotions, body sensations, and experiences be as they are and BE with them. We turn toward them, not away from them. As we do that, divisions fade and healing is the result, as a natural, spontaneous, gradual energy cleansing occurs on the levels of the body, mind, and emotions. Many paths tell us we should accept what is, but that often gets focused primarily on the outer story. WellBeing Alignment isn't so much about embracing the story of who did what (although we allow that to be here when it arises). Instead, our focus is more on the energy of hurt itself. The sensations and emotions that arise within you are very much like an inner hurt child who only requires your acceptance in order to heal. Acceptance is the only missing ingredient. Acceptance is love. As we embrace these emotions / sensations / inner child, our beliefs in lack gradually unwind by themselves, as does the suffering. As our attention shifts to the acceptance and embracing of our experience, our "outer" life, which is a reflection of where our "inner" attention is, gradually shifts to reflect the peace that we experience within. Information and the intellectual understanding of how to release suffering will begin to point your attention in the right direction for healing, but it won't take you all the way. If you wanted to learn how to swim, but had never been in water, let's say you google the subject, and read about how to swim. You would gain a helpful intellectual understanding. However, I guarantee you that the first time you find yourself in water and notice that your body behaves much differently than it does on land, it will be a very different experience than READING about water and how to swim. It would really help to have a coach there who has been in deep water many times and enjoys exploring the water realm. This coach could meet you where you are – not knowing how to swim – and take you step-by-step through the process of swimming. They would guide you into first floating on your back to get your bearings. Then, once you were comfortable with that, they would show you how to use your arms and legs to move your body through the water. When you were ready for the next step, such as holding your breath under water, they would be there with you to show you how. Once you have the direct experience of BEING in water and exploring what your body can do in it, you will KNOW what to do in water. In this site you'll find both information as well as several meditations and exercises to give you the actual experience of yourself as Pure Presence, as well as the experience of embracing anything and everything that arises within you with acceptance. I encourage you to take advantage of these exercises, because actually doing them is what shifts your experience from suffering to wellbeing. I'm happy to guide you through the healing process as well. You can read more about what people experience with WellBeing Alignment Sessions here. 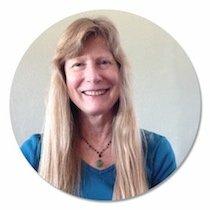 Want support in your healing journey? I offer WellBeing Alignment Sessions to coach you through a powerfully direct healing process, which includes the approaches described here, and incorporates everything I've experienced in my own journey out of suffering and into freedom and peace. I am blessed to meet with many beautiful beings all over the world, from my home office in Longmont, Colorado, United States. I meet with you via Skype, Facetime or phone. To learn more about my background and what I bring to this work, click here. As you will notice, there are elements of several different healing paths represented on this site. As I mentioned, whenever I discover something that opens my attention to deeper wellbeing, I write about it here on this site. In some cases, the new step seems to contradict or even make obsolete the previous step or steps. It's like the parable where two men wanted to cross a river, so they built a canoe. When they reached the land on the other side of the river, they carried the canoe on their shoulders until they realized it was no longer useful to them and they let it go. Likewise, as we learn various healing tools, even though they are exactly what we need when they show up, they each become obsolete at some point as our inner "eyes" open bigger and bigger. I leave all the pages up because I know that you'll be energetically drawn to whatever step you are ready for now. Then when the time is right, the next step will reveal itself to you, and the next. You are walking your own unique path and your steps will show up in the way that is best for you. However, in case it is helpful for you, at the bottom of this page (where it says "Wondering Where To Go Next?") is a list of the main pages of this site, which reflect the steps I took (and continue to take), in the order I took them, to awaken from the dream of suffering. I don’t want you to miss out on anything so be sure and sign up for the free ezine, Encouragement From WellBeing Alignment. When you sign up you'll also receive a free mp3 audio file, called Living Brilliantly. This is a 30-minute recording of Lacey Sherwood interviewing me for the Stepping Into Brilliance TeleSummit. It includes a short and simple exercise to help you bring your attention to yourSelf, Pure Awareness. By subscribing, you’ll receive notifications about special deals on WellBeing Alignment Sessions, and new material posted to this site. Each issue (usually mailed monthly) includes practical ways to release suffering and shift your identification to yourself – Pure Awareness – aligned with joy, love, aliveness, and freedom in your every-day life. To keep updated, also check out the WellBeing Blog which includes updates to the site as well as short, focused articles on all aspects of wellbeing. I hope you'll come by and say hello on Facebook too! It is my heart’s desire that you discover the unlimited, ever-present field of love, light, peace, profound wellbeing and joy that you already are in this moment. It is right here, right now. You are this Pure Presence that is simply here, has always been here, and will always be here. I join you in this, forever! Each of us is on a unique path of awakening to the Pure Peace that we already are. You will automatically be drawn to whatever the next step on your path is, in service to your awakening. Below is a list of the main pages on this site, in the order I wrote them. Although the steps on your path probably won't be in the same order as mine, you might find the list helpful. The pages at the bottom of the list reflect my state of awareness / realization when I first put this site up, while the pages at the top of the list reflect a broader, deeper, and more recent state of realization. The older pages are occasionally updated and in some cases rewritten entirely, to bring it in line with my latest understanding. When that happens, the page moves to the top of the list. The Superego – Breaking Free Of A False "God"